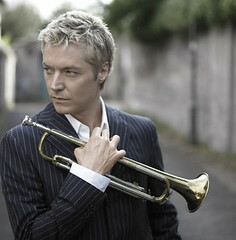 Christopher Stephen Botti or Chris Botti (pronounced /ˈboʊti/ BOH-tee) (born October 12, 1962), is an American trumpeter and composer. In 2007, Botti was nominated for two Grammy Awards including Best Pop Instrumental Album. On December 4, 2009, he was nominated for 3 more Grammy Awards including Best Pop Instrumental Album and Best Long Form Music Video. Three of his albums have reached the #1 position on the Billboard jazz albums chart. Coming to prominence with the 2001 recording of his "Night Sessions" CD, Botti established a reputation as a versatile musician in both jazz and pop music for his ability to fuse both styles together, thus creating what some have branded a new genre of music. I cannot live without 'my' music..... and u??! !